Just as when we think the world is moving towards a better time, something somewhere happens which makes us contemplate our decision. Similarly, something extremely sad and terrible happened on the broad daylight of May 3r, 2016; Davis Road. 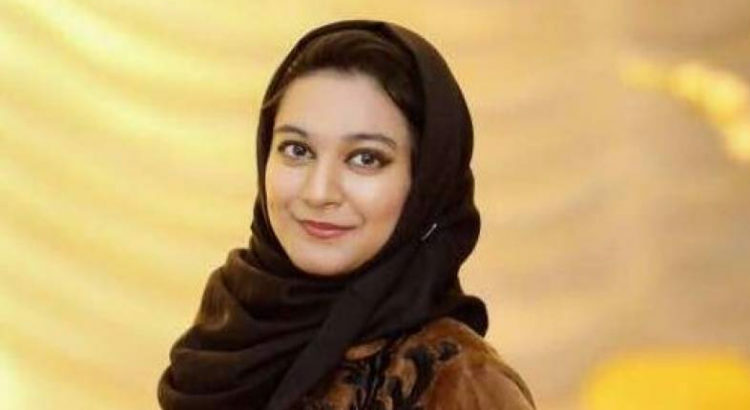 Khadija Siddiqi, a young law student, was dropping off her sister to the school when she was approached by an unknown man wearing a helmet, who pushed her to the backseat of the car and in the blink of an eye took out a knife with which he stabbed her ruthlessly, continuously for 23 times. Just like that she was left in a puddle of blood, immediately surrounded by men who were trying to make a statement for whether she was alive or dead. She, being alive, was the start of her fighting journey. She was a law student and the person who stabbed her was a fellow classmate, Shah Hussain, also son of an advocate; Syed Tanvir Hashmi. The immediate after action for this was a murder case being filed in the Lahore High Court, where a video was also presented so that Shah Hussain could be identified. Shah Hussain was jailed for his crime but then, as expected, he was allowed a bail after two months. This was disturbing for Khadija who could not digest the fact that the person who tried to kill her would be giving the law exams right with her. This made her and everyone else raise questions about the legal system. Despite a lot of pressures from different lawyers, including the father of the attacker, Khadija refused to take her case back and voiced her opinion about the court’s decision being ‘erroneous’ and ‘perverse’. She stood strong and decided to fight for justice or as long as she could. In this time, there were people who tried to put her down by questioning her character and throwing in weak statements to somehow justify the attempted murder. That showed the brutal face of our society but at the same time there were people like Muhammad Jibran Nasir who stood with her and supported wholeheartedly. All the women of the country felt proud for the fight that Khadija was in and how she remained resilient irrespective of what anyone said. Being a law student herself, she knew exactly what she was doing and how it was supposed to go along; education at this point helped her a lot. After a year’s struggle and frequent court sessions, the High Court Chief Justice Syed Mansoor Ali Shah turned out to be the one who finally took notice of this brutal incident and starting from June 2017, took active role in hearing the case all over again. After 30 days of constant sessions, the judge put forward his verdict where the attacker was announced guilty and sentenced for seven year imprisonment. This was a huge victory; not just for Khadija Siddiqi but for all the women of the country who hesitate fighting back the oppression and injustice that happens with them, sometimes every day. Khadija gives a lot of hope and encouragement to women to speak for their right and against all the injustices of the society.